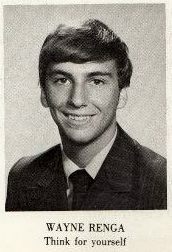 Recollections of the 1972 class of Belleville High School, Belleville, N.J.
Wayne E. Renga, 62, passed away on April 1, 2017, due to complications with T-cell Lymphoma. Wayne was born on April 12, 1954 in Newark, NJ. Wayne dedicated many years to model railroading. Through God's blessing, his hobby became his business, J and W Electronics. He was granted a patent in October of 2007 for his invention of the BCR. He was an active member of the Stillmeadow Crossings Train Club. He is survived by his two sons, Jeff and Michael Renga; a sister, Maryann Meola; and several nieces and nephews. He was proceeded in death by his parents, Emmanuel Renga and Ida Molino Renga. There will be a visitation Friday April 7 from 7 to 9 p.m. at Stillmeadow Church of the Nazarene, 400 Stillmeadow Lane York. A celebration of life service will be held on Saturday, April 8 at 1 p.m. with a luncheon to follow at Stillmeadow Church of the Nazarene. In lieu of flowers, donations may be made in his memory to the Stillmeadow Crossings Train Club, 400 Stillmeadow Lane York PA 17404. 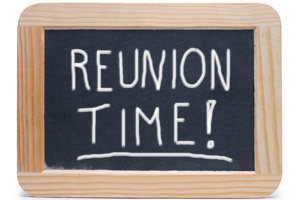 Arrangements entrusted to the John W. Keffer Funeral Homes and Crematory, Inc.
Ready for our 45th reunion? We've got a separate Facebook group for that. It's a closed group so anyone can see it, but only members can post. Looks like, if you ask to join, anyone in the group already can approve you. October 7, 2017 - it'll be here before you know it. Columbus day weekend and seaside has a great parade and street fair all weekend. 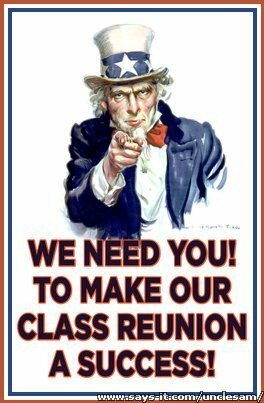 Ok People, 45 is coming soon, we started to work on it, so if you want to send updated info on you or someone you know, send it to loujolee@gmail.com or lou.pallante@markelcorp.com . Please let us know if there are changes needed here. Labels: Belleville, In Memory, N.J.
October 2017 - it'll be here before you know it. Ok People 45 is coming soon, we started to work on it so if you want to send updated info on you or someone you know. Send it to loujolee@gmail.com or lou.pallante@markelcorp.com or anthonybuccino@gmail.com. I'm sure. make the weekend out of it, it's Columbus Day weekend and seaside has a great parade and street fair all weekend. OK GUYS. It's going to be 45 years next year and Lou Pallante is starting to talk about a reunion. How about having it at Seaside Heights for a change of venue. In October they have a street fair for Columbus day and the weather is still great and hotels and the boardwalk are open. Classmate Phil Bruno and Jersey Sound will be performing. Please spread the word among our classmates. 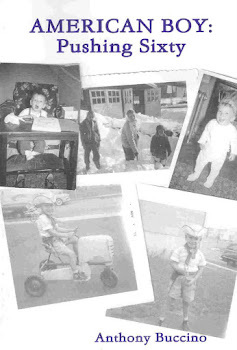 and growing up in Belleville, New Jersey. 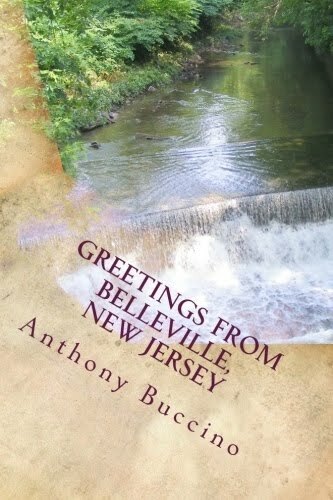 Greetings From Belleville is Buccino's fourth collection of essays but the first wholly dedicated to his collected writings about Belleville. More than forty essays and reflections on everything from junior high school bullies to selling pretzels for Ed Strat at Belleville High School football games at Municipal Stadium. This collection includes the Excellence in Journalism award-winning Don the TV man. Sure, as you read it you'll say 'I could have written this." But you didn't. So buy a copy of the book. 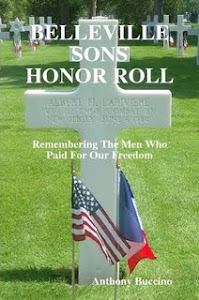 in print, Kindle and Nook. BELLEVILLE HIGH SCHOOL CLASS OF 72, BELLEVILLE, NEW JERSEY. Entire contents Copyright © 2007-2017 By Anthony Buccino. All rights reserved. Content may not be used for commercial purposes without written permission.